Grindhouse Releasing is proud to present the ultimate late-60s studio-produced cult film, The Swimmer . 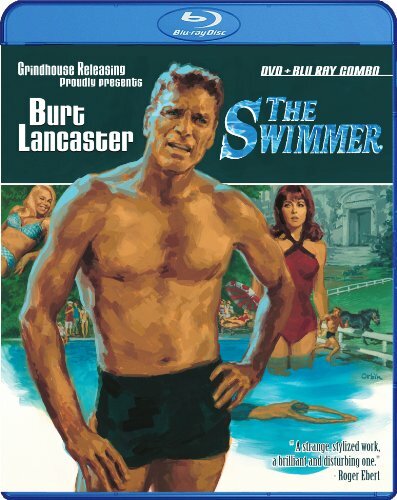 In his finest performance, Burt Lancaster stars as Ned Merrill, a man who confronts his destiny by swimming home, pool by pool, through the suburban nightmare of upper-class East Coast society. Based on the acclaimed short story by John Cheever, and directed by Frank Perry (DIARY OF A MAD HOUSEWIFE, MOMMIE DEAREST), The Swimmer is a film like no other, a feature-length TWILIGHT ZONE episode by way of THE NEW YORKER.